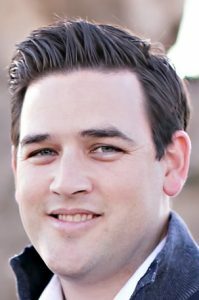 David Gosselin is originally from Long Beach, and after graduating from the University of Arizona in 2004 made his way back to the area. David is now an audit partner at dbbmckennon, a full-service CPA firm headquartered in Newport Beach. David is in charge of the firm’s equity crowdfunding audit efforts and has established himself as one of the top CPAs and thought leaders in the space, regularly participating in expert panels. In 2017, David was recognized as a 40 under 40 in the accounting profession by Practice Advisor Magazine. David is also an author and instructor for the CalCPA Education Foundation and co-founded and sits on the board of one of the largest and most influential non-profit emerging professional groups in Southern California which connects professionals while giving back to local charities, including BCA. David’s passion for BCA is rooted in watching his Mother battle breast cancer multiple times over nearly three decades; recognizing that everyone battling cancer needs a strong support system emotionally and financially.